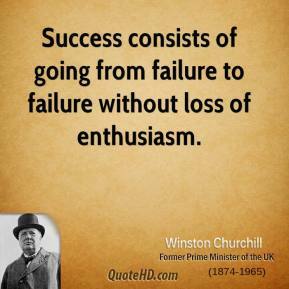 Every failure is just another step closer to a win. 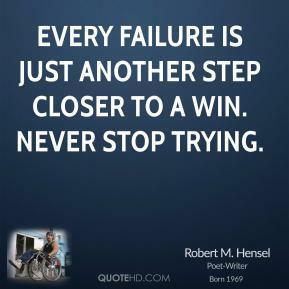 Never stop trying. 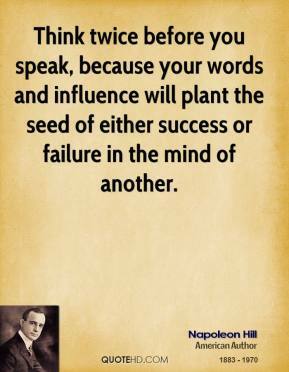 Think twice before you speak, because your words and influence will plant the seed of either success or failure in the mind of another. 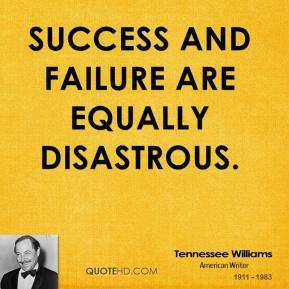 Success and failure are equally disastrous. 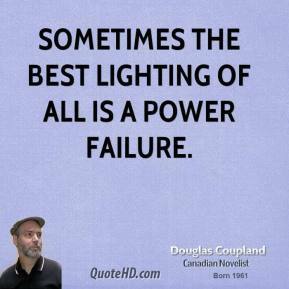 Sometimes the best lighting of all is a power failure. 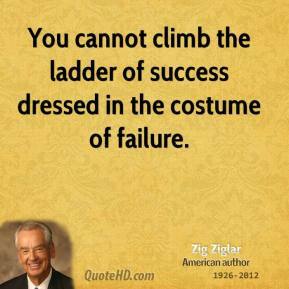 You cannot climb the ladder of success dressed in the costume of failure. 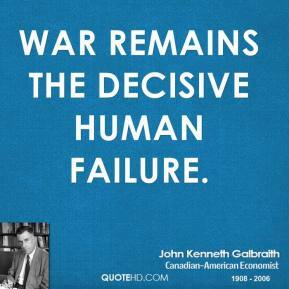 War remains the decisive human failure. 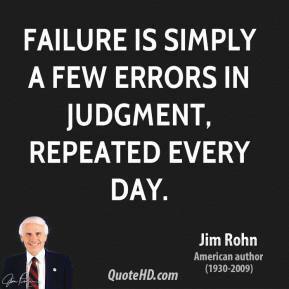 Failure is simply a few errors in judgment, repeated every day. 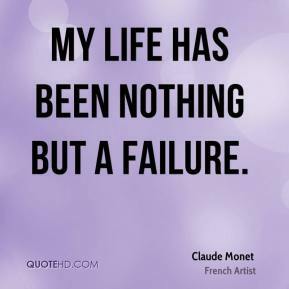 My life has been nothing but a failure. 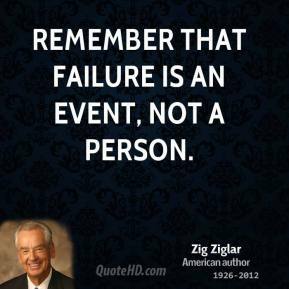 Remember that failure is an event, not a person. 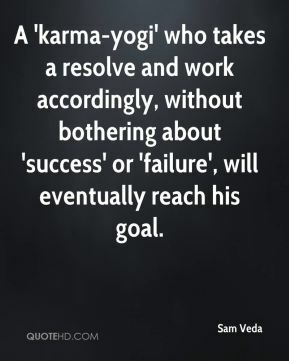 A 'karma-yogi' who takes a resolve and work accordingly, without bothering about 'success' or 'failure', will eventually reach his goal. 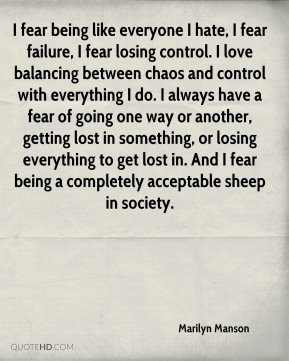 I fear being like everyone I hate, I fear failure, I fear losing control. I love balancing between chaos and control with everything I do. I always have a fear of going one way or another, getting lost in something, or losing everything to get lost in. And I fear being a completely acceptable sheep in society. 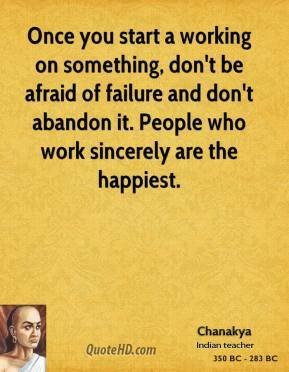 Don't be afraid to fail. 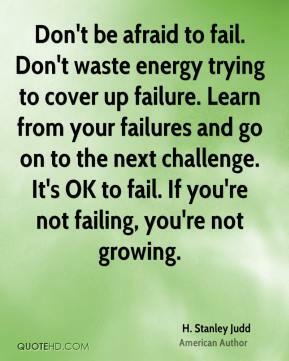 Don't waste energy trying to cover up failure. 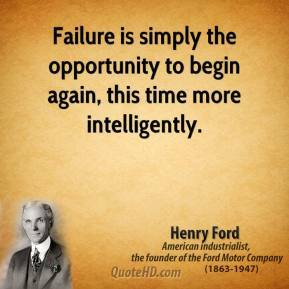 Learn from your failures and go on to the next challenge. 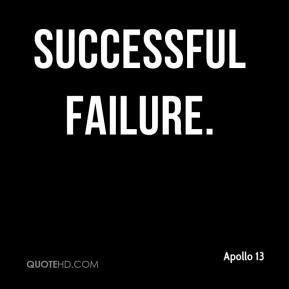 It's OK to fail. 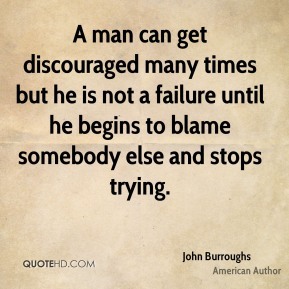 If you're not failing, you're not growing. 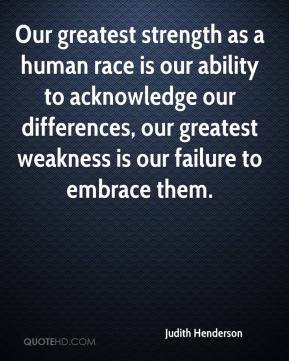 Our greatest strength as a human race is our ability to acknowledge our differences, our greatest weakness is our failure to embrace them. 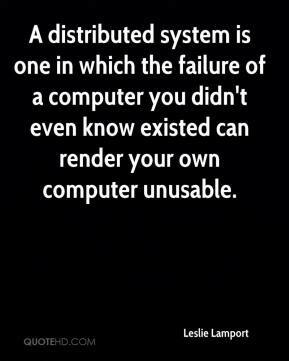 A distributed system is one in which the failure of a computer you didn't even know existed can render your own computer unusable. 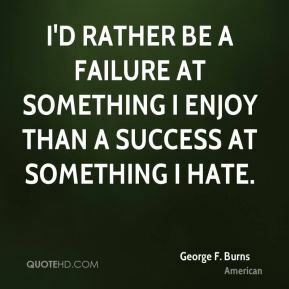 I'd rather be a failure at something I enjoy than a success at something I hate. 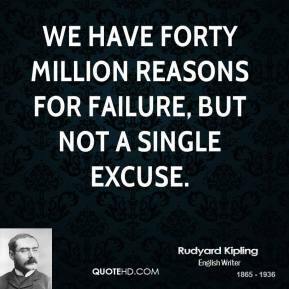 Negligence is much easier to prove; it's the failure to exercise reasonable care. 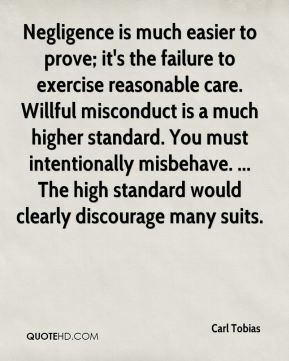 Willful misconduct is a much higher standard. You must intentionally misbehave. ... The high standard would clearly discourage many suits. 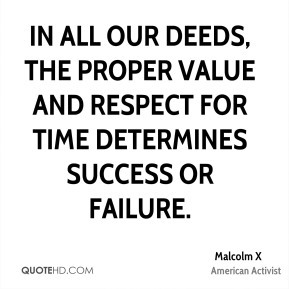 In all our deeds, the proper value and respect for time determines success or failure. 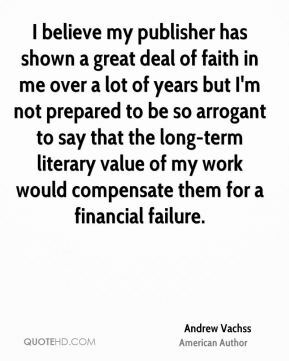 I believe my publisher has shown a great deal of faith in me over a lot of years but I'm not prepared to be so arrogant to say that the long-term literary value of my work would compensate them for a financial failure.